The government is expected to unveil the revised National Automotive Policy (NAP) in the second quarter of 2019, which will include various measures to enhance the competitiveness of the industry through future technological trends. International Trade and Industry Deputy Minister Ong Kian Ming said the new NAP would include the Next Generation Vehicles (NxGV), Mobility-as-a-Service and Industry 4.0, as well as artificial intelligence. 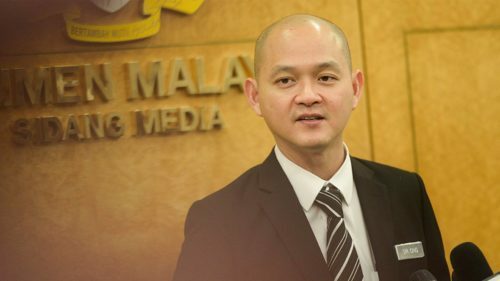 “The review will focus on new mobility pathways and trends in driving patterns, and it will also be adjusted according to the improvements in public transportation as well as explore on vendor development within the ecosystem,” he told reporters at the Urban Development and E- Mobility Workshop organised by the Malaysia Automotive, Robotics and IoT Institute (MARii) here today. The programme was sponsored by the German Federal Ministry for Environment, Nature Conservation and Nuclear Safety, in cooperation with Malaysia-German Chamber of Commerce. Also present was Germany’s ambassador to Malaysia, Nikolaus Graf Lambsdorff. Ong said there are currently about 30 million registered vehicles in Malaysia, and the number is expected to double by 2030.